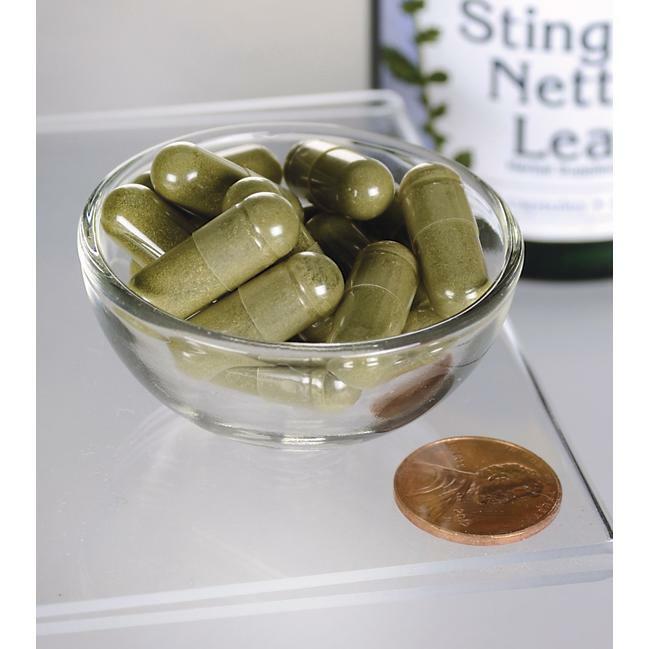 Swanson Stinging Nettle Leaf is traditional herb valued for its nutritional content. It has been historically used for total body health and for promoting a healthy fluid balance in the body. * Pick up a bottle today and see what makes this traditional herb a part of every herbalists’ cabinet. Effective protection against environmental irritants. Treatment for the relief of nettle allergies such as asthma, hay fever, hives and other allergic dermatitis. Treatment for sore throats, swollen hemorrhoids, nose bleeds and mouth sores. Reduces gingivitis and prevents plaque as a mouth rinse. Relieves chest congestion and coughing, bronchitis, COPD and TB. Is helpful in the treatment of Alzheimers. Relieves neurological disorders such as MS, ALS and sciatica. Remedies made from the plant’s roots prevent night time urination in children. Destroys intestinal worms and parasites. Supports the endocrine system including the thyroid, spleen and pancreas.